Drawn from the International Center of Photography's archives, this book highlights the incomparable style and fascinating career of Weegee, one of New York City's quintessential press photographers.§§For a decade between 1935 and 1946, Weegee made a name for himself snapping crime scenes, victims, and perpetrators. Armed with a Speed Graphic camera and a police-band radio, Weegee often beat the cops to the story, determined to sell his pictures to the sensation-hungry tabloids. His stark black and-white photos were often lurid and unsettling. Yet, as this beautifully produced volume shows, they were also brimming with humanity. 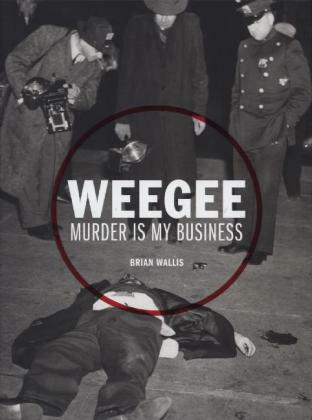 Designed as a series of "dossiers", this book follows Weegee's transformation from a freelancer to a photodetective. It explores his relationship with the tabloid press and gangster culture and reveals his intimate knowledge of New York's darkest corners. It provides readers with a rich historical experience - a New York City "noir" shot through the lens of one of its most iconoclastic figures.